The IMAX brand is world famous and stands for the highest-quality, most immersive motion picture entertainment. As the IMAX theatre network grows, so does the visibility of the IMAX brand, a name that is unique in the entertainment business. IMAX theatres are located in commercial multiplexes as well as some of the most prestigious educational institutions and destination entertainment centers around the globe. More than one billion people have had An IMAX Experience® since the first IMAX theatre opened in 1970. As the Company continues to evolve, its potential in the commercial marketplace continues to increase. While IMAX remains committed to its historical roots in museums and science centers, the Company is rapidly expanding its commercial theatre network. IMAX has forged strategic alliances, relationships and joint ventures with some of the most prominent exhibitors in the world, including AMC Entertainment, Regal Cinemas, Inc., National Amusements, ODEON & UCI CINEMAS, CJ CGV, Wanda Cinema Line Co. Ltd., Tokyu Cinemas and many more. IMAX®, The IMAX Experience® IMAX Is Believing® and IMAX FANFIX™ are trademarks of IMAX Corporation. 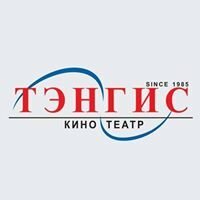 Уан Пийс "Дэрсэн Малгайтын Баг"
Төв аймгийн "Хүүхэд залуучуудын ордон"